In the late 1950s, armed with a social work diploma from Edinburgh University, Kay became a psychiatric social worker, engaging particularly with prison inmates, getting to know and understand their problems. But this was not enough: she wanted to do something about the conditions of deprived families and communities and for the rest of her life she was actively committed to rectifying what she saw as wrongs and injustices. Carmichael was involved in many of the progressive reforms that led Scotland, long before political devolution, to tread a more liberal path than the rest of the UK or, indeed, most of the world. She achieved this in a variety of roles. She served as a part time adviser on social policy to Harold Wilson’s policy unit in the 1960s. 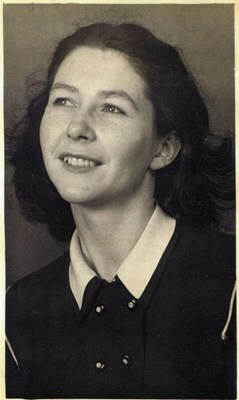 As a Lecturer in the School of Social Training in Glasgow University (later the Department of Social Work and Social Administration) she was responsible for developing the UK’s first training programme for probation officers, using her experience of working with Borstal girls and her regular prison visits. In the 1960s too, she advised the Kilbrandon Committee which resulted in the 1968 Social Work Scotland Act of 1968 and the setting up of the children’s panels system ��" a model that was adopted in many other countries and has stood the test of time. Her work with prisons also led to her involvement in the setting up of the Special Unit in Barlinnie prison for men serving life, to improve conditions for staff and inmates by getting them to work together. 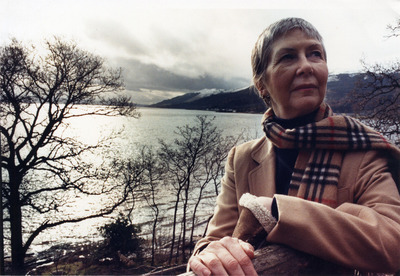 In 1948, Kay married Neil Carmichael who became MP for Glasgow Woodside in 1962, and with him, she campaigned actively against the presence of the US Polaris missile base at the Holy Loch, and subsequently the Faslane nuclear submarine base. This activity resulted in her being sentenced to 14 days in prison for breaking into the Faslane base, a founder member of the group of women who undertook guerrilla raids into the base to plant vegetables and bulbs. From 1975-1980 she was deputy chair of the UK Government’s Supplementary Benefits Commission, and again this led her to take direct action, by living incognito for three months in Lilybank, a deprived area of Glasgow, on exactly the same level of benefit income as other residents. Her experience enabled her to make an important contribution to a series of television programmes later made by the BBC on Glasgow’s east end, portraying the lack of humanity in some public services and the inadequacy of benefits. These concerns were very much the driving force behind the activist role that Kay Carmichael pursued throughout her life and were reflected in so many different causes, including the setting up of the Scottish Minority Rights Group (later Gay Scotland). 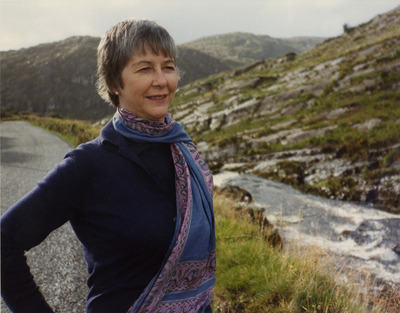 The underlying social philosophy was reflected in her work for a PhD in theology and English, awarded at the age of 76, which was the basis for her book Sin and Forgiveness. These values were also transmitted to her appreciative students through her teaching until she left in 1981 to join Strathclyde Region Social Work Services where she was in charge of services for offenders. It has been commented that Scotland is a more open and liberal society thanks to the work of this pioneering activist. Carmichael, Kay . 1993. For crying out loud. Glendaruel: Argyll Publishing. Carmichael, Kay. 2003. < i>Sin and forgiveness: New responses in a changing world. Aldershot: Ashgate Publishing. Carmichael, Kay. 1991. Ceremony of innocence: Tears, power and protest. Basingstoke: Palgrave Macmillan. World Changing Project, "Influencing social reform in the 1960s and 1970s," in University of Glasgow World Changing (University of Glasgow, 2010); http://www.worldchanging.glasgow.ac.uk/article/?id=26 (accessed April 25, 2019). World Changing Project. "Influencing social reform in the 1960s and 1970s." In University of Glasgow World Changing. University of Glasgow, 2010. http://www.worldchanging.glasgow.ac.uk/article/?id=26 (accessed April 25, 2019). World Changing Project. "Influencing social reform in the 1960s and 1970s." University of Glasgow World Changing. University of Glasgow, 2010. 25 April 2019 <http://www.worldchanging.glasgow.ac.uk/article/?id=26>.